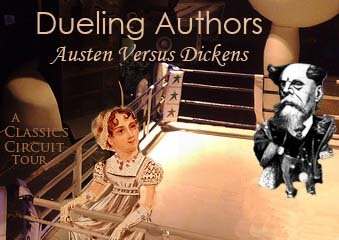 Welcome to Dueling Authors: Charles Dickens vs. Jane Austen! Below, you can read brief summaries of the lives and major works of both authors along with other bloggers’ and readers’ thoughts on these works. And then, sign up for this upcoming Classics Circuit tour (tentatively scheduled for May 8 – 21 depending on the number of people joining in). One of the most beloved authors in English Literature (and perhaps the world), Jane Austen was born on 16 December 1775 at Steventon near Basingstoke, the seventh child of the rector of the parish. She lived with her family at Steventon until they moved to Bath when her father retired in 1801. After his death in 1805, she moved around with her mother; in 1809, they settled in Chawton, near Alton, Hampshire. Here she remained, except for a few visits to London, until in May 1817 she moved to Winchester to be near her doctor. There she died on 18 July 1817. Jane Austen produced only six novels, two of which were published posthumously after her death in 1817. Taken from the poverty of her parents’ home, Fanny Price is brought up with her rich cousins at Mansfield Park, acutely aware of her humble rank and with only her cousin Edmund as an ally. When Fanny’s uncle is absent in Antigua, Mary Crawford and her brother Henry arrive in the neighbourhood, bringing with them London glamour and a reckless taste for flirtation. As her female cousins vie for Henry’s attention, and even Edmund falls for Mary’s dazzling charms, only Fanny remains doubtful about the Crawford’s influence and finds herself more isolated than ever. A subtle examination of social position and moral integrity, Mansfield Park is one of Jane Austen’s most profound works. Beautiful, clever, rich – and single – Emma Woodhouse is perfectly content with her life and sees no need for either love or marriage. Nothing, however, delights her more than interfering in the romantic lives of others. But when she ignores the warnings of her good friend Mr. Knightley and attempts to arrange a suitable match for her protégée Harriet Smith, her carefully laid plans soon unravel and have consequences that she never expected. With its imperfect but charming heroine and its witty and subtle exploration of relationships, Emma is often seen as Jane Austen’s most flawless work. ‘She had been forced into prudence in her youth, she learned romance as she grew older – the natural sequel of an unnatural beginning.’ Anne Elliot seems to have given up on present happiness and has resigned herself to living off her memories. More than seven years earlier she complied with duty: persuaded to view the match as imprudent and improper, she broke off her engagement to a naval captain with neither fortune, ancestry, nor prospects. However, when peacetime arrives and brings the Navy home, and Anne encounters Captain Wentworth once more, she starts to believe in second chances. Persuasion celebrates romantic constancy in an era of turbulent change. Written as the Napoleonic Wars were ending, the novel examines how a woman can at once remain faithful to her past and still move forward into the future. A wonderfully entertaining coming-of-age story, Northanger Abbey is often referred to as Jane Austen’s “Gothic parody.” Decrepit castles, locked rooms, mysterious chests, cryptic notes, and tyrannical fathers give the story an uncanny air, but one with a decidedly satirical twist. The story’s unlikely heroine is Catherine Morland, a remarkably innocent seventeen-year-old woman from a country parsonage. While spending a few weeks in Bath with a family friend, Catherine meets and falls in love with Henry Tilney, who invites her to visit his family estate, Northanger Abbey. Once there, Catherine, a great reader of Gothic thrillers, lets the shadowy atmosphere of the old mansion fill her mind with terrible suspicions. What is the mystery surrounding the death of Henry’s mother? Is the family concealing a terrible secret within the elegant rooms of the Abbey? Can she trust Henry, or is he part of an evil conspiracy? Catherine finds dreadful portents in the most prosaic events, until Henry persuades her to see the peril in confusing life with art. Executed with high-spirited gusto, Northanger Abbey is the most lighthearted of Jane Austen’s novels, yet at its core this delightful novel is a serious, unsentimental commentary on love and marriage. One of the most well known and beloved authors in the world, Charles Dickens was born at Portsmouth, England, on February 7, 1812. Dickens married Catherine Hogarth in 1836. The couple had ten children. He published over a dozen major novels, a large number of short stories, plays, and several non-fiction books. Dickens’s novels were initially serialised in weekly and monthly magazines, then reprinted in standard book formats. He was well known for his realism and shedding light on social ills of his time. Dickens died in his home on June 8, 1970 the day after suffering a stroke. The Pickwick Club was founded by the most learned minds in London for the purpose of making a scientific tour of the world. No sooner have the distinguished members begun their historic journey than they are set upon by a charming but notorious con man. So begins a series of hilarious misadventures that takes the incorrigibly innocent Pickwicks wandering around England, coming in contact with some of the most colorful and comical characters in all fiction. This darkly satiric indictment of the social ills of Victorian London tells the story of a young orphan who becomes involved with a gang of criminals. Following the success of “Pickwick Papers” and “Oliver Twist”, “Nicholas Nickleby” was hailed as a comic triumph and firmly established Dickens as a ‘literary gentleman’. It has a full supporting cast of delectable characters that range from the iniquitous Wackford Squeers and his family, to the delightful Mrs Nickleby, taking in the eccentric Crummles and his travelling players, the Mantalinis, the Kenwigs and many more. Combining these with typically Dickensian elements of burlesque and farce, the novel is eminently suited to dramatic adaptation. So great was the impact as it left Dickens’ pen that many pirated versions appeared in print before the original was even finished. The Old Curiosity Shop is a story of the road, a genre at which Dickens excelled. Little Nell and her grandfather, pursued relentlessly through England by the evil and loathsome dwarf Quilp, meet a fascinating variety of vividly portrayed characters, including Mrs. Jarley, and Codlin and Short, the Punch and Judy men. Barnaby, a kind, half-witted young man, joins the Gordon rioters to proudly carry their banner. Along the way we get to meet Barnaby’s murderous father, the hangman Dennis, and the madcap Hugh. There are vivid scenes of pillage, battles and executions as well as myriad characters who are grim, romantic and humorous. A Christmas Carol is the first in a series of five novels that Charles Dickens wrote for the Christmas Season. A Christmas Carol is a Victorian morality tale of an old and bitter miser, Ebenezer Scrooge, who undergoes a profound experience of redemption over the course of a Christmas Eve night. If the experience doesn’t change Scrooge’s ways, he will end up walking the Earth forever being nothing but an invisible and lonely ghost, like his deceased friend Jacob Marley. Dombey and Son is the story of Mr. Dombey, the proud, rich owner of a shipping house, whose selfishness has tragic consequences for his family. As his world collapses around him, Dombey becomes a sad figure, estranged from his mistreated though ever-sympathetic daughter Florence. From seaside Yarmouth to London and beyond, as plots and counterplots effortlessly interweave into one intricate, grand design, David Copperfield captures the brightness, magic and terror of the world as seen through the eyes of a child: his bafflement turning to self-awareness and his young heart growing ever more disciplined and true. Bleak House is a satirical look at the Byzantine legal system in London as it consumes the minds and talents of the greedy and nearly destroys the lives of innocents–a contemporary tale indeed. Dickens’s tale takes us from the foggy dank streets of London and the maze of the Inns of Court to the peaceful countryside of England. Likewise, the characters run from murderous villains to virtuous girls, from a devoted lover to a “fallen woman,” all of whom are affected by a legal suit in which there will, of course, be no winner. Dickens’s widely read satirical account of the Industrial Revolution. Dickens creates the Victorian industrial city of Coketown, in northern England, and its unforgettable citizens, such as the unwavering utilitarian Thomas Gradgrind and the factory owner Josiah Bounderby, and the result is his famous critique of capitalist philosophy, the exploitative force he believed was destroying human creativity and joy. After eighteen years as a political prisoner in the Bastille, the aging Doctor Manette is finally released and reunited with his daughter in England. There the lives of two very different men, Charles Darnay, an exiled French aristocrat, and Sydney Carton, a disreputable but brilliant English lawyer, become enmeshed through their love for Lucie Manette. From the tranquil roads of London, they are drawn against their will to the vengeful, bloodstained streets of Paris at the height of the Reign of Terror, and they soon fall under the lethal shadow of La Guillotine. Great Expectations is different from the usual Dickensian fare: the story is dark, almost surreal at times, and you’ll find few of the author’s patented comic characters and no comic set pieces. And yet this is arguably the most compelling of Dickens’s novels for, unlike David Copperfield or Martin Chuzzlewit, the reader can never be sure that things will work out for Pip. Even Dickens apparently had his doubts–he wrote two endings for this novel. John Harmon returns to London from exile at his father’s death, to claim his inheritance. But he finds he is eligible only if he marries Bella Wilfer, and in order to observe her character he assumes another identity and secures work with his father’s foreman, Mr. Boffin, who is also Bella’s guardian. Edwin Drood is contracted to marry Orphan Rosa, but they break the engagement off-and soon afterwards Edwin disappears. Is it murder? And is his jealous uncle-a sinister choirmaster with a double life and designs on Rosa-the killer? Dickens died before completing the story, leaving the mystery unsolved and encouraging successive generations of readers to turn detective. In addition to its tantalizing crime, the novel also offers a characteristically Dickensian mix of the fantastical world of the imagination and a vibrantly journalistic depiction of gritty reality. Tentative tour dates are May 8 to May 21. Sign up will remain open until the Tuesday, April 19. Nicole from Linus Blanket is busy working on the introduction post to our next Classic Circuit Tour, and it’s going to be a fun tour. Sign up will be soon. Two of our favorite English authors will be dueling in this tour. Which authors come to mind when you think of greatest English writers? None other than England’s own…. It’ will be an Austen versus Dickens show down. The tour should be in early to mid May. More information coming soon! 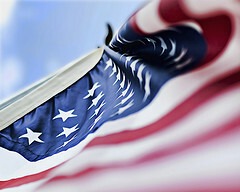 From Ancient Greece we’re traveling to America….but I’m not yet sure just where in time we’re going to stop! Here are four themed tours. Which would you most like to see featured on an upcoming Circuit? Please note that we’ve had Americans on the lists in the past; we’ll try to give those authors a chance again at some point for future tours. For now, though, these are the authors/themes we’re going to decide from among. Anne Bradford, Phyllis Wheatley, Benjamin Franklin, Thomas Jefferson, James Madison, Thomas Paine, Washington Irving. James Fenimore Cooper, Edgar Allan Poe, Walt Whitman, Emily Dickinson, Nathaniel Hawthorne, Herman Melville, the Transcendentalists. I’d love your input, regardless of whether you will be able to participate in the tour. Our Ancient Greeks Tour has come to an end. Did you miss any of the stops? What will be your next Ancient Greek read? See where the tour visited below.